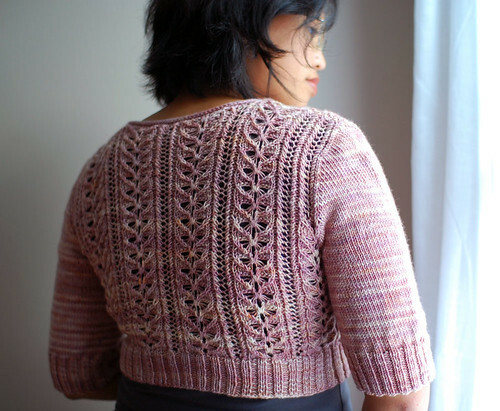 Honeybee is a light, lacy cardigan in an interesting and fun stitch pattern. Knit seamlessly from the bottom up, Honeybee integrates set-in sleeves without the need for seaming! Two length options (or anywhere in between) and three quarter length sleeves let you customize your sweater to work with your weather! A perfect autumn layering piece that lets those fun tees and tanks shine through. Shown cropped on Laura in Socks that Rock Mediumweight in Rose Quartz (pink) in size 34.5. 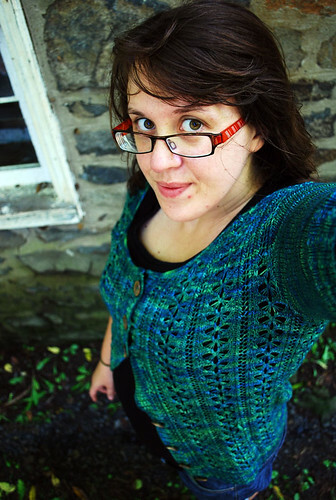 Shown full length on Andrea in Malabrigo Sock in Solis (blue/green) in size 38. 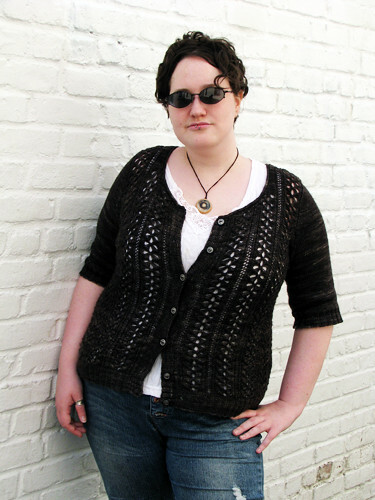 Shown full length on Jesh in Malabrigo Sock in Alcaucil (black) in size 45. Also available as part of Flora and Fauna. 8 page PDF pattern with schematic and abbreviations. Measurements in imperial and metric.